The Swiss, US American, and Syrian models are in this thesis illustrated by way of three representations. The Analytical Representation comprises more than statements of posi-tive law or mechanical comparison.  Each chapter is introduced by thought-forms predominant in the respective legal culture. The objective of the Methodological Representation is to investigate the logic and legitimate pattern by which the Swiss and US American judiciary meth-odologically come to the conclusion that an alleged governmental inter-ference is covered under the right to religious freedom. The last dimen-sion, which is the Eclectic Representation, pursues a dual aim. 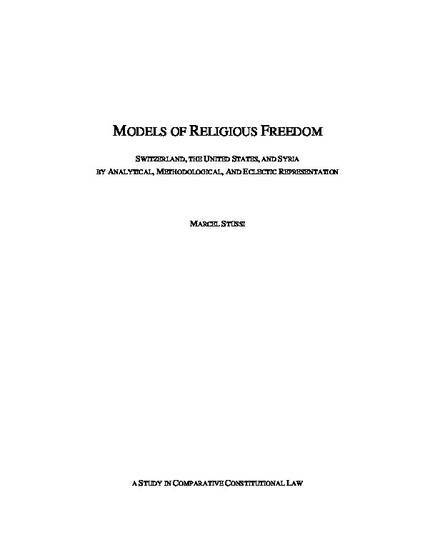 Firstly, the idea is to develop an actual guideline of religious-freedom rules, and secondly, to evaluate how much religious freedom is internalized in the Swiss, American, and Syrian legal systems. The overall objective of this thesis is to show that spaces are shaped by intentions, power relations, and desires that function within society, and that it is the lawmakers that construct spaces according to their specific understanding of justice. Marcel Stüssi is a lecturer in human rights law at the University of Lu-cerne – Switzerland. For this thesis he has conducted legal research in Damascus, Berkeley, and Lucerne.